papairlines proudly present the exhibition Once Upon A Sponge, which opens on Thursday the 10th of May and will last until the 16th of June 2012, at TAF. The exhibition Once Upon A Sponge aims to showcase the different perpectives of design. Design is not just encountered in windows of high-end shops, but also something we experience and interact with on a daily basis:from a sign and a widely recognisable piece of furniture to a love note and a D.I.Y. object that adapts random and accessible materials. Design is about identifying, analysing and solving problems in our everyday life as well as commenting on social phenomena and behaviours. For the exhibition Once Upon A Sponge, 20 designers conceptualise and construct unexpected and imaginative narrative objects with the final destination being to show and tell stories through the use of the iconic yellow sponge. 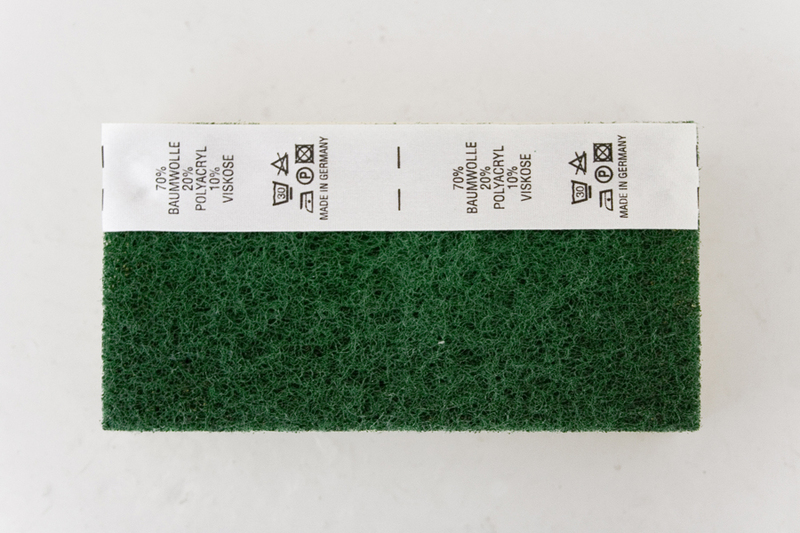 The sponge, a neglected everyday object, transforms into a construction material for the passengers – designers of papairlines who are invited to redefine the form and the established use of the sponge in order to challenge the perception of the public. The objects emerging from this process will be landing in TAF. At the same time a collection of photographs showcases a series of spontaneous, D.I.Y objects, created by non-design professionals who, lacking resources, creatively subvert existing objects to solve problems and overcome design weaknesses. 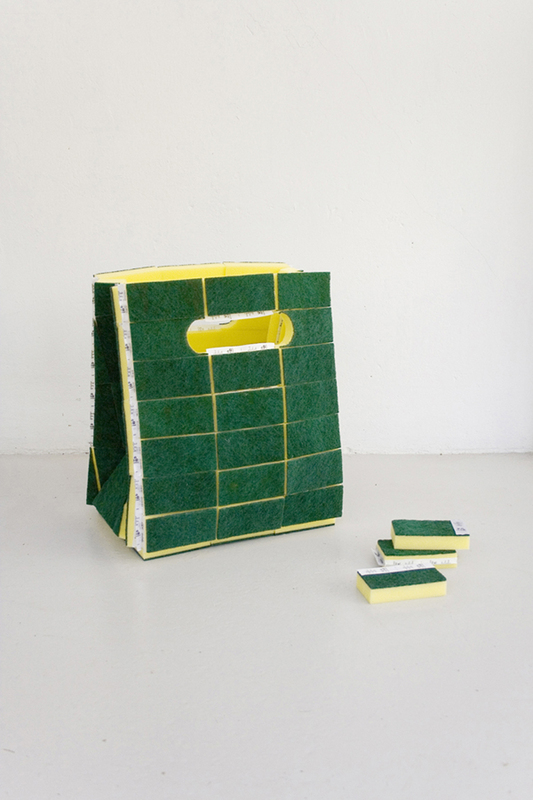 157+173 designers participate with the prototype “Sponge Bag”. 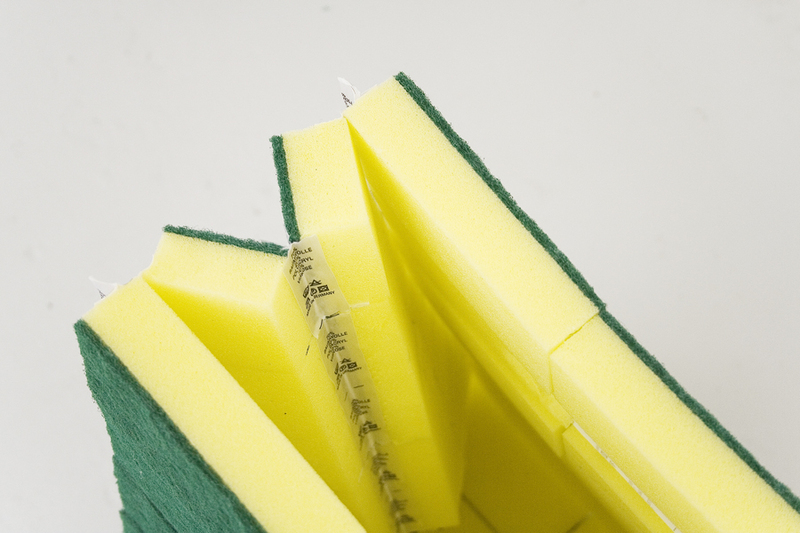 Sponge bag is a prototype, attempting to redesign the paper bag out of an unexpected material, the kitchen sponge. The soft texture becomes utilitarian, as it could be part of the packaging of a fragile or special product, though this does not limit its use as a lightweight carry-bag.